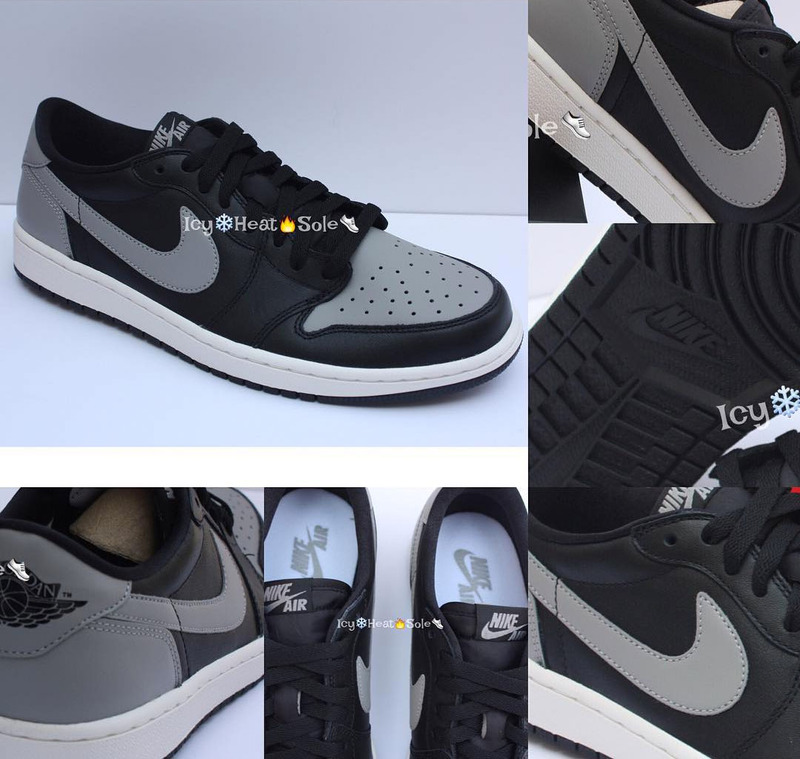 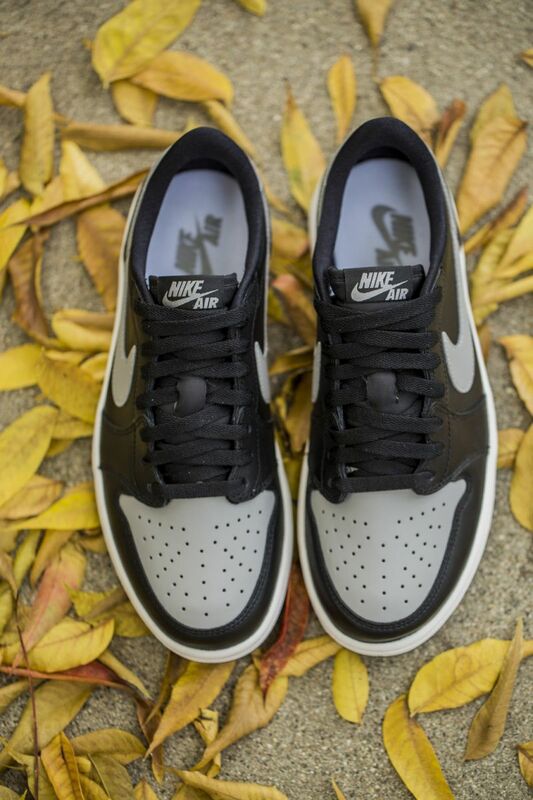 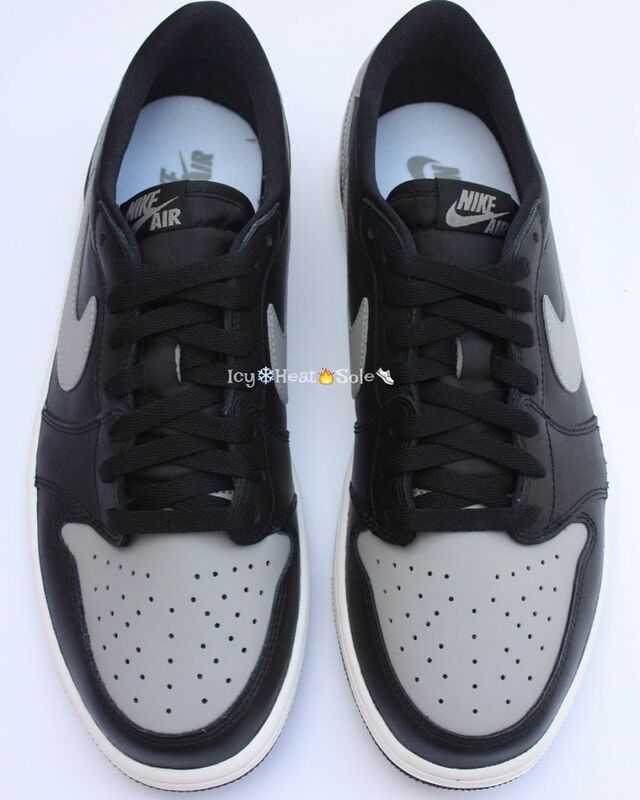 The next popular Air Jordan 1 colorway to be released in OG low-top form will be the "Shadows." 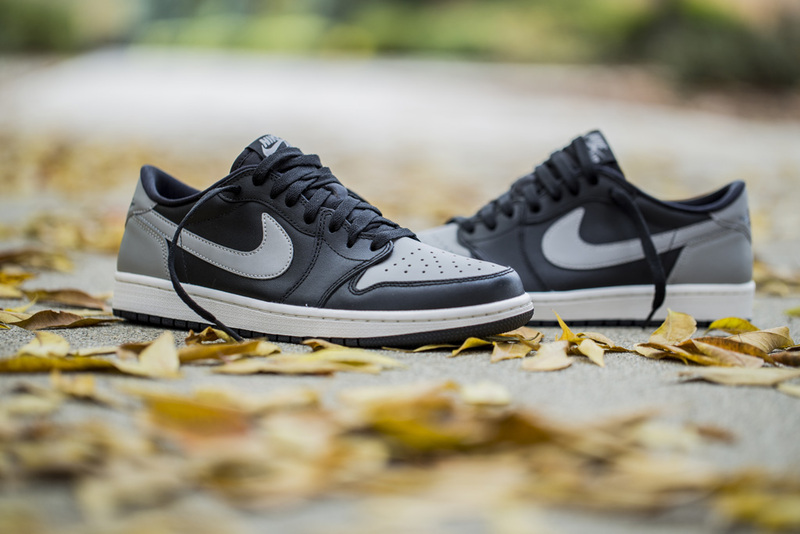 Staying true to '85 blocking, the shoe's upper bonds black and grey, with a sail midsole and black outsole wrapping things up below. 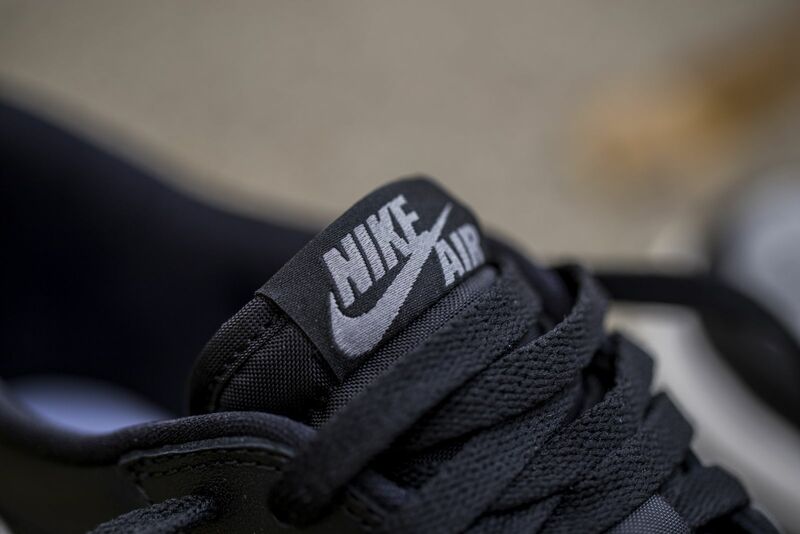 Nike Air branding adorns the tongue tag and both insoles. 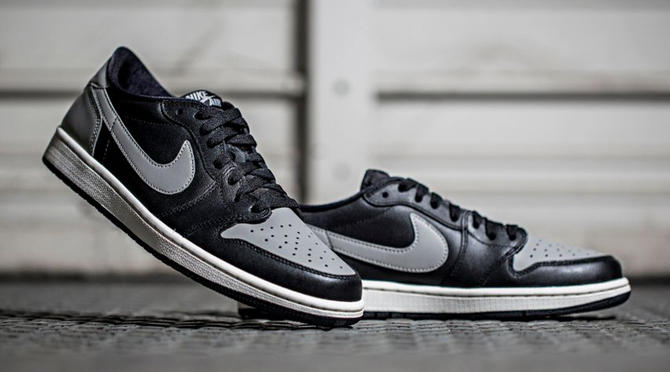 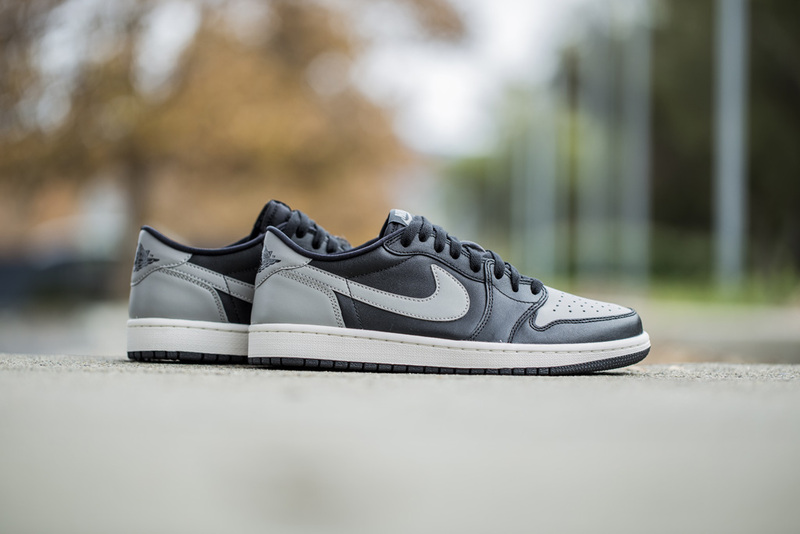 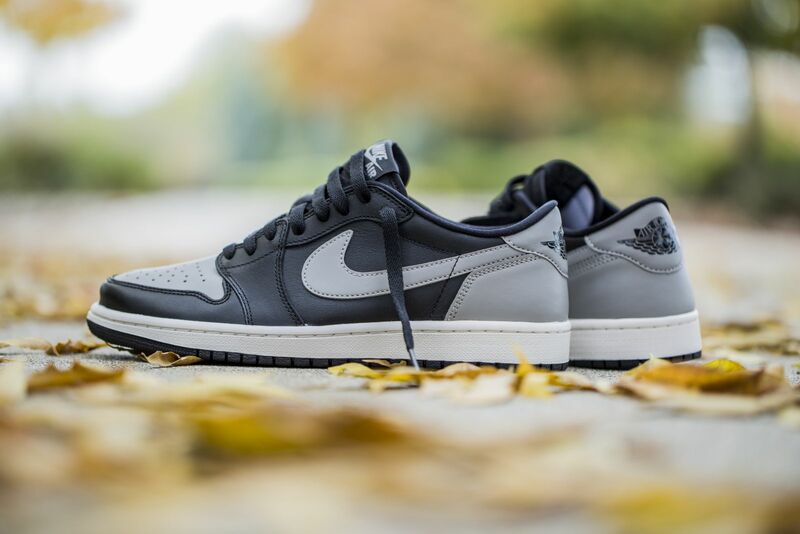 Priced at $130, the "Shadow" Air Jordan 1 Low has a sneaker release date of Wednesday, Dec. 30. 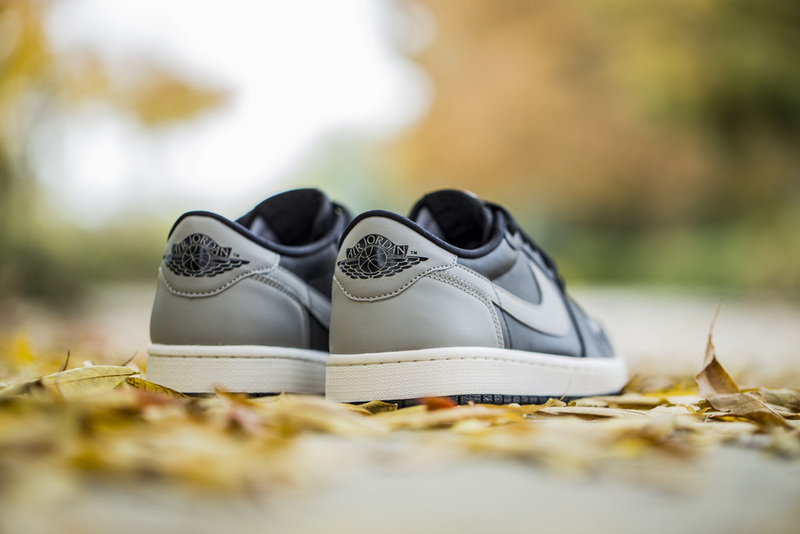 UPDATE 12/02: A first look at the sneakers which will be available at select retailers such as Shoe Palace in late December.